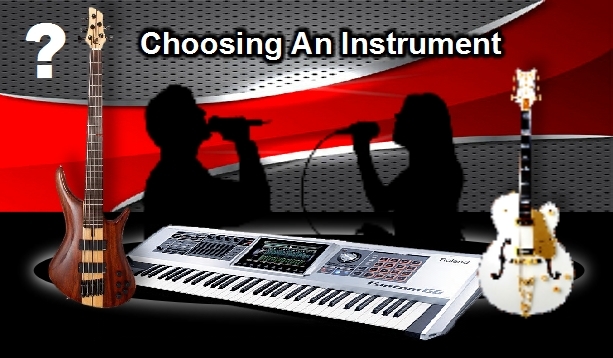 Choosing An Instrument - (EPT) Excellence Private Training Sign up online today! PaSTOR D sign up today for private training (In-Home). We provide piano, guitar, bass, keyboard sequencing, voice, song writing lessons. Also audio & video production graphic design, website designing and ministry preparation & bible training. Which Type of Musical Training Is Right For You? Mothers, fathers, grandmothers, and grandfathers, you are not to old to play the piano. It requires minimum bending of your fingers as compared to playing the guitar. Piano chords can even be played by a person who does not know how to play. It is just a matter of holding your hands over the keys - then press to make a sound. Piano is generally the easiest instrument to learn as a child or elderly person. Guitar and bass guitar requires very specific finger conditions when starting as a beginner. Consider it as a 1st Choice! Not like struggling with the strings on a guitar or bass, piano requires only that you lay your hands across the keys slightly curved and tap the notes several at a time (chord). Basic keyboard playing does not require that you possess special super fingers. Healthy hands and fingers are all that's needed. Rhythm guitar is played on 6 (tiny) strings. Guitar is by far the most difficult of all electronic instruments to learn. Its difficulty is largely due to the challenge of disciplining your left-hand fingers to bend at many angles simultaneously. Generally, it takes a good season to condition your fingers for playing the guitar. After adjusting to the physical aspects of playing the guitar, playing eventually becomes much easier. thus minimizing how many things you have to concentrate on. In like manner, most people are not even familiar with what range they sing in. EPT Training will help you discover your "Born Voice Range" and then work towards how to enhance your voice.